A Dartmouth charity shop has been celebrating its first anniversary after raising more than £140,000 for Rowcroft Hospice. Rowcroft’s boutique shop in Lower Street, Dartmouth has seen a soaring success in its first year of trading with a staggering 15,000 items sold. So far the shop has generated enough revenue to fund 318 days of 24 hour patient care on Rowcroft’s Inpatient Unit, a real achievement for the first year of trading. The Dartmouth Boutique is a real treasure trove of designer labels and timeless pieces sold at competitive price points. The temptation of designer labels like Mulberry and Tod’s are part of the shops success story. At Christmas time a stunning pair of Kate Spade boots were sold for £195 – RRP £300. The boutique stocks a variety of pre-loved ladies’ and mens’ clothing as well as handbags, shoes and other accessories. It is open 9am – 4.30pm Monday – Saturday and Sunday 10am – 4pm. The opening of the Dartmouth boutique in 2017 was part of the hospice’s continued drive to increase revenue generated by its retail department. 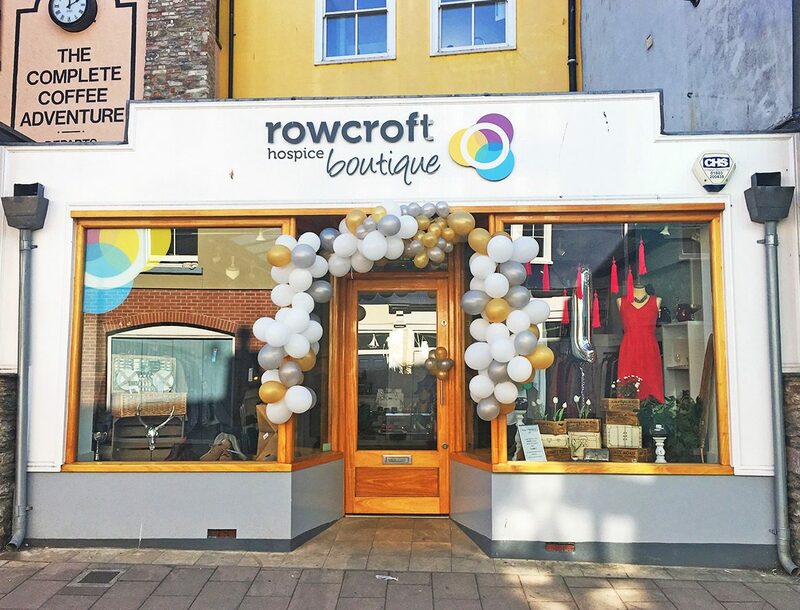 The new shop marked the first time Rowcroft has had a retail presence in Dartmouth since 2007. Mark Hawkins, Chief Executive explained: “Rowcroft’s services extend 300 square miles across South Devon and are provided in people’s homes, as well as residential homes and community hospitals. Rowcroft now has 16 shops across South Devon, including three Furniture Outlets in Paignton, Torquay and Newton Abbot, boutique shops in Wellswood and Dartmouth and a coffee shop in Churston. To find out more about Rowcroft’s 16 shops visit www.rowcrofthospice.org.uk/shops.